"میرا ایمان ہیکہ ایک حیرت انگیز یہودی نسل وجود میں آئیگی – مکابیین پھر سے عروج حاصل کریں گے- میں اپنے الفاظ پھر سے دہراتا ہوں : وہ یہود جو ریاست کی آرزو کرتے ہیں ، انہیں ملے گی- آخر کار ہم اپنی زمین پر بسیں گےاور ہم امن سے اپنے گھروں میں فوت ہو سکیں گے- ہماری آزادی دنیا کی آزادہوگی،ہماری دولت دنیا کی دولت ہوگی،ہماری بڑائی سے انکی عزت ہوگی- اور وہاں ہم اپنی فلاح کے لئے جو بھی کوشش کرنا چاہیں گے ، سودمندانہ اور قوی طریقے سے انسانیت کی فلاح کے لئے ہوگا-"
↑ Motyl 2001، صفحات۔ 604..
↑ Mark LeVine؛ Mathias Mossberg۔ One Land, Two States: Israel and Palestine as Parallel States۔ University of California Press۔ صفحہ 211۔ آئی ایس بی این 978-0-520-95840-1۔ مورخہ 25 دسمبر 2018 کو اصل سے آرکائیو شدہ۔ The parents of Zionism were not Judaism and tradition, but antiSemitism and nationalism. The ideals of the انقلاب فرانس spread slowly across یورپ, finally reaching the تحدیدی آبادکاری in the سلطنت روس and helping to set off the حثکالا, or Jewish Enlightenment. This engendered a permanent split in the Jewish world, between those who held to a halachic or religious-centric vision of their identity and those who adopted in part the racial rhetoric of the time and made the Jewish people into a nation. This was helped along by the wave of پوگرومs in Eastern Europe that set two million Jews to flight; most wound up in ریاستہائے متحدہ امریکا, but some chose Palestine. A driving force behind this was the Hovevei Zion movement, which worked from 1882 to develop a Hebrew identity that was distinct from یہودیت as a religion. ↑ James L. Gelvin۔ The Israel-Palestine Conflict: One Hundred Years of War۔ Cambridge University Press۔ صفحہ 93۔ آئی ایس بی این 978-1-107-47077-4۔ مورخہ 25 دسمبر 2018 کو اصل سے آرکائیو شدہ۔ The fact that Palestinian nationalism developed later than Zionism and indeed in response to it does not in any way diminish the legitimacy of Palestinian nationalism or make it less valid than Zionism. All nationalisms arise in opposition to some "other". Why else would there be the need to specify who you are? And all nationalisms are defined by what they oppose. As we have seen, Zionism itself arose in reaction to anti-Semitic and exclusionary nationalist movements in Europe. It would be perverse to judge Zionism as somehow less valid than European anti-Semitism or those nationalisms. 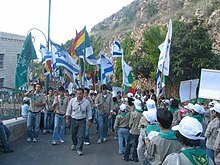 Furthermore, Zionism itself was also defined by its opposition to the indigenous Palestinian inhabitants of the region. Both the "conquest of land" and the "conquest of labor" slogans that became central to the dominant strain of Zionism in the Yishuv originated as a result of the Zionist confrontation with the Palestinian "other". ↑ Aviel Roshwald, "Jewish Identity and the Paradox of Nationalism", in Michael Berkowitz, (ed.). Nationalism, Zionism and Ethnic Mobilization of the Jews in 1900 and Beyond, p. 15. ↑ Wylen, Stephen M. Settings of Silver: An Introduction to Judaism, Second Edition, Paulist Press, 2000, p. 392. ↑ Tesler, Mark. Jewish History and the Emergence of Modern Political Zionism. Bloomington, IN: Indiana University Printing Press, 1994. ↑ Mark A. Tessler۔ A History of the Israeli–Palestinian Conflict۔ Indiana University Press۔ آئی ایس بی این 978-0253208736۔ اخذ شدہ بتاریخ جون 22, 2016۔ The suggestion that Uganda might be suitable for Jewish colonization was first put forward by Joseph Chamberlain, the British colonial secretary, who said that he had thought about Herzl during a recent visit to the interior of British East Africa. Herzl, who at that time had been discussing with the British a scheme for Jewish settlement in Sinai, responded positively to Chamberlain's proposal, in part because of a desire to deepen Zionist-British cooperaion and, more generally to show that his diplomatic efforts were capable of bearing fruit. ↑ unispal (September 3, 1947). "UNSCOP Report to the General Assembly, Volume 1, Chapter II, Par. A., 12 (doc.nr. A/364)". United Nations Special Committee on Palestine. Archived from the original on January 16, 2013. Retrieved May 2, 2012. ↑ Zionism & The British In Palestine وثق شدہ بتاریخ November 27, 2007, در وے بیک مشین, by Sethi, Arjun (University of Maryland) January 2007, accessed May 20, 2007. 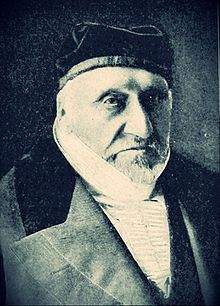 ↑ Adam Rovner۔ In the Shadow of Zion: Promised Lands Before Israel۔ NYU Press۔ صفحہ 45۔ آئی ایس بی این 978-1-4798-1748-1۔ European Jews swayed and prayed for Zion for nearly two millennia, and by the end of the nineteenth century their descendants had transformed liturgical longing into a political movement to create a Jewish national entity somewhere in the world. Zionism'sprophet, Theodor Herzl, considered Argentina, Cyprus, Mesopotamia, Mozambique, and the Sinai Peninsula as potential Jewish homelands. It took nearly a decade for Zionism to exdusively concentrate its spiritual yearning on the spatial coordinates of Ottoman Palestine. ↑ Adam Rovner۔ In the Shadow of Zion: Promised Lands Before Israel۔ NYU Press۔ صفحہ 81۔ آئی ایس بی این 978-1-4798-1748-1۔ On the afternoon of the fourth day of the Congress a weary Nordau brought three resolutions before the delegates: (1) that the Zionist Organization direct all future settlement efforts solely to Palestine; (2) that the Zionist Organization thank the British government for its other of an autonomous territory in East Africa; and (3) that only those Jews who declare their allegiance to the Basel Program may become members of the Zionist Organization." Zangwill objected… When Nordau insisted on the Congress’s right to pass the resolutions regardless, Zangwill was outraged. 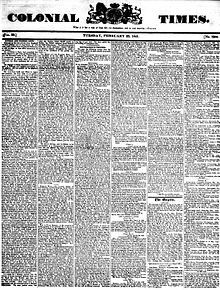 “You will be charged before the bar of history,” he challenged Nordau… From approximately 1:30 p.m. on Sunday, July 30, 1905, a Zionist would henceforth he defined as someone who adhered to the Basel Program and the only “authentic interpretation” of that program restricted settlement activity exclusively to Palestine. 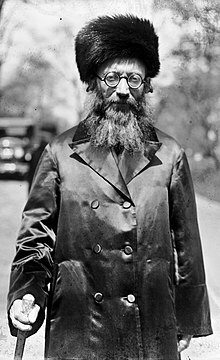 Zangwill and his supporters could not accept Nordau’s “authentic interpretation" which they believed would lead to an abandonment of the Jewish masses and of Herzl’s vision. One territorialist claimed that Ussishkin’s voting bloc had in fact “buried political Zionism”. ↑ Johnson، Paul (May 1998). "The Miracle". Commentary 105: 21–28. ↑ Anglo-American Committee of Inquiry - Preface. Yale Law School. ↑ Gabriel Gorodetsky, "The Soviet Union's role in the creation of the state of Israel." Journal of Israeli History 22.1 (2003): 4-20. ↑ Kodmani-Darwish, p. 126; Féron, Féron, p. 94. ↑ The expulsion of the Palestinians re-examined (Le Monde Diplomatique, English version, December 1997)Were they expelled? by Pappé, Ilan (Zochrot) وثق شدہ بتاریخ August 19, 2014, در وے بیک مشین"the important point is a growing consensus among Israeli and Palestinian historians about the Israeli expulsion of the Palestinians in 1948 (expulsion and the destruction of villages and towns)" (...) "The gist of the common ground is a consensus between the 'new historians' in Israel and many Palestinian historians that Israel bore the main responsibility for the making of the problem." ↑ Hacohen 1991، صفحہ۔ 262 #2:"In meetings with foreign officials at the end of 1944 and during 1945, Ben-Gurion cited the plan to enable one million refugees to enter Palestine immediately as the primary goal and top priority of the Zionist movement. ↑ Hakohen 2003، صفحہ۔ 46: "After independence, the government presented the Knesset with a plan to double the Jewish population within four years. This meant bringing in 600,000 immigrants in a four-year period. or 150,000 per year. Absorbing 150,000 newcomers annually under the trying conditions facing the new state was a heavy burden indeed. Opponents in the Jewish Agency and the government of mass immigration argued that there was no justification for organizing large-scale emigration among Jews whose lives were not in danger, particularly when the desire and motivation were not their own." ↑ Hakohen 2003، صفحہ۔ 246–247: "Both the immigrants' dependence and the circumstances of their arrival shaped the attitude of the host society. The great wave of immigration in 1948 did not occur spontaneously: it was the result of a clear-cut foreign policy decision that taxed the country financially and necessitated a major organizational effort. Many absorption activists, Jewish Agency executives, and government officials opposed unlimited, nonselective immigration; they favored a gradual process geared to the country's absorptive capacity. Throughout this period, two charges resurfaced at every public debate: one, that the absorption process caused undue hardship; two, that Israel's immigration policy was misguided." ↑ Hakohen 2003، صفحہ۔ 47: "But as head of the government, entrusted with choosing the cabinet and steering its activities, Ben-Gurion had tremendous power over the country's social development. His prestige soared to new heights after the founding of the state and the impressive victory of the IDF in the War of Independence. As prime minister and minister of defense in Israel's first administration, as well as the uncontested leader of the country's largest political party, his opinions carried enormous weight. Thus, despite resistance from some of his cabinet members, he remained unflagging in his enthusiasm for unrestricted mass immigration and resolved to put this policy into effect." ↑ Hakohen 2003، صفحہ۔ 247: "On several occasions, resolutions were passed to limit immigration from European and Arab countries alike. However, these limits were never put into practice, mainly due to the opposition of Ben-Gurion. As a driving force in the emergency of the state, Ben-Gurion—both prime minister and minister of defense—carried enormous weight with his veto. His insistence on the right of every Jew to immigrate proved victorious. He would not allow himself to be swayed by financial or other considerations. It was he who orchestrated the large-scale action that enabled the Jews to leave Eastern Europe and Islamic countries, and it was he who effectively forged Israel's foreign policy. Through a series of clandestine activities carried out overseas by the Foreign Office, the Jewish Agency, the Mossad le-Aliyah, and the Joint Distribution Committee, the road was paved for mass immigration." ↑ Source: A Survey of Palestine, prepared in 1946 for the Anglo-American Committee of Inquiry, Volume II page 907 HMSO 1946. ↑ Lenni Brenner, The Iron Wall: Zionist Revisionism from Jabotinsky to Shamir, Zed Books 1984, pp.74–75. ↑ Benjamin Beit-Hallahmi, Original Sins: Reflections on the History of Zionism and Israel, Olive Branch Press, 1993 p.103. ↑ Adriana Kemp, Israelis in Conflict: Hegemonies, Identities and Challenges, Sussex Academic Press, 2004, pp.314–315. ↑ Rev. Thomas F. Stransky, Paulist. "A Catholic Views — Zionism and the State of Israel" وثق شدہ بتاریخ May 21, 2016, در وے بیک مشین. The Holy land. ↑ * Post-Zionism doesn't exist. Shlomo Avineri. ↑ Karsh، Efraim (Spring 2005). "Benny Morris's Reign of Error, Revisited The Post-Zionist Critique". Middle East Forum. http://www.meforum.org/711/benny-morriss-reign-of-error-revisited#_ftnref16۔ اخذ کردہ بتاریخ August 13, 2014. ↑ * Penslar, Derek, Israel in History: The Jewish State in Comparative Perspective, Taylor & Francis, 2007, p 56. ↑ * Khallidi, Walid, "Plan Dalet: The Zionist Master Plan for the Conquest of Palestine", in Middle East Forum, no. 22, Nov 1961, p 27. ↑ Bishku، Michael B. (February 12, 2011). "India's Israel Policy (review)". The Middle East Journal 65 (1): 169–170. https://muse.jhu.edu/article/416684۔ اخذ کردہ بتاریخ March 12, 2018. ↑ shlaim، Avi (June 9, 1994). "It can be done". London Review of Books 16 (11): 26–27. http://www.lrb.co.uk/v16/n11/avi-shlaim/it-can-be-done۔ اخذ کردہ بتاریخ October 16, 2012. ↑ Frum, David (2000). How We Got Here: The '70s. New York, New York: Basic Books. p. 320. ISBN 0-465-04195-7. 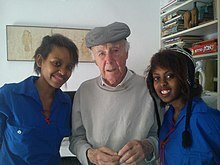 ↑ Israeli Ambassador Chaim Herzog's Response To Zionism Is Racism Resolution. November 10, 1975. 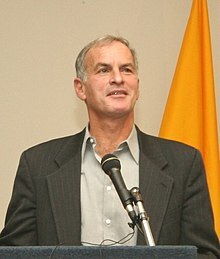 "You dare talk of racism when I can point with pride to the Arab ministers who have served in my government; to the Arab deputy speaker of my Parliament; to Arab officers and men serving of their own volition in our border and police defense forces, frequently commanding Jewish troops; to the hundreds of thousands of Arabs from all over the Middle East crowding the cities of Israel every year; to the thousands of Arabs from all over the Middle East coming for medical treatment to Israel; to the peaceful coexistence which has developed; to the fact that Arabic is an official language in Israel on a par with Hebrew; to the fact that it is as natural for an Arab to serve in public office in Israel as it is incongruous to think of a Jew serving in any public office in an Arab country, indeed being admitted to many of them. Is that racism? It is not! That, Mr. President, is Zionism." ↑ "We oppose the Zionists and their 'state' وثق شدہ بتاریخ May 15, 2011, در وے بیک مشین vigorously and we continue our prayers for the dismantlement of the Zionist 'state' and peace to the world." Rabbi E Weissfish, Neturei Karta, Representatives of Orthodox Jewry, US, London, Palestine and worldwide. ↑ "The Great Gulf Between Zionism and Judaism", Paper delivered by G. J. Neuberger, a member of Neturei Karta, at the Tripoli Conference on Zionism and Racism. ↑ Dr. King (January 20, 2003). "Anti-Zionism Is Anti-Semitism". FrontPage Magazine. http://archive.frontpagemag.com/readArticle.aspx?ARTID=20210۔ اخذ کردہ بتاریخ July 12, 2014. ↑ Thomas G. Mitchell۔ Native vs. Settler۔ Greenwood Press۔ صفحہ 48۔ آئی ایس بی این 9780313313578۔ To most Arabs the terms Jew or Jewish and Zionist are interchangeable. After the introduction of European anti-Semitism into the Arab world in the thirties and forties through the Axis powers, Arab propaganda has displayed many classic Nazi anti-Semitic claims about the Jews. For public relations purposes the PLO has never wanted to be accused of being anti-Semitic but rather only of being anti-Zionist. Occasionally its leaders slip, as Arafat did when he referred to the "Jewish invasion" in his speech. ↑ Hamas charter, article 32: "The Zionist plan is limitless. After Palestine, the Zionists aspire to expand from the Nile to the Euphrates. When they will have digested the region they overtook, they will aspire to further expansion, and so on. Their plan is embodied in the "Protocols of the Elders of Zion" ..."
↑ Prager, D; Telushkin, J. Why the Jews? : The Reason for Antisemitism. New York: Simon & Schuster, 1983. page 169-175. ↑ Korey, W., "Updating the Protocols," Midstream, May 1970, p. 17. ↑ Ali, Tariq. "Notes on Anti-Semitism, Zionism and Palestine" وثق شدہ بتاریخ December 7, 2010, در وے بیک مشین, Counterpunch, March 4, 2004, first published in il manifesto, February 26, 2004.